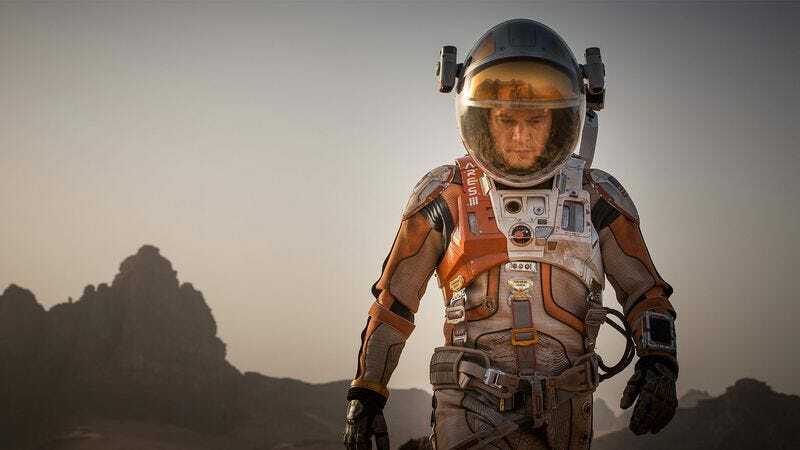 The last time Ridley Scott and The Martian author Andy Weir teamed up, they managed to score a box office hit, a Golden Globe, and some prime Neil DeGrasse Tyson endorsement time. (Also, a bunch of accusations of whitewashing, although that was before Marvel put a big, Tilda Swinton-shaped target on its back to draw that sort of Hollywood fire.) Now, the celebrated director and bestselling online author are reuniting for another project, one that’s being kept tightly under wraps by 20th Century Fox. Correspondingly, we don’t know what the new movie’s being called, or even a hint of what it’s about. We do know, though, that it’ll be Weir’s first stab at writing a screenplay, since Drew Goddard adapted The Martian. But in the interest of baseless speculation, we can only imagine where Weir plans to strand Matt Damon this time. Pluto? The Mariana Trench? A McDonald’s parking lot, with a dead battery in his 2002 Honda Accord? The Damon-abandoning possibilities are endless. For his own part, Goddard’s also making another movie with Scott, the Western adaptation Wraiths Of The Broken Land. That’s just one of several projects Scott is working on at the moment: there’s also Blade Runner 2, his planned Alien sequel, Covenant, a TV medical drama, and likely a bunch of other stuff, because Scott clearly intends to ride this latest, Damon-ditching career resurgence for all its worth.